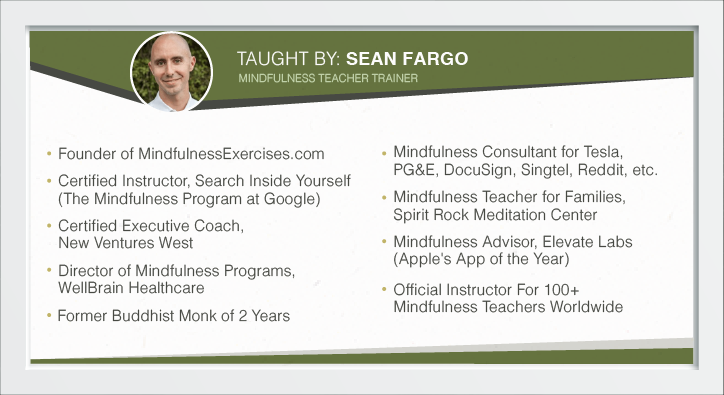 Sean Fargo is the Founder of Mindfulness Exercises, a Certified Instructor for the mindfulness program born at Google, a Certified Integral Coach, and a former Buddhist monk of 2 years. Sean teaches mindfulness for corporations, schools and healthcare settings around the world, including Tesla, Kaiser Permanente, PG&E, hospitals and school districts across the US. 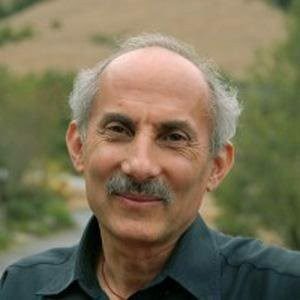 This free training will help you talk about mindfulness and lead guided meditations with integrity, confidence, and credibility. 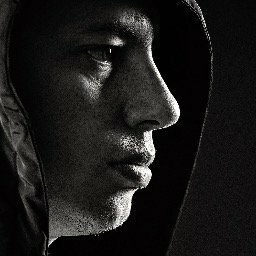 Sean Fargo has also certified many new mindfulness meditation teachers around the world in a wide variety of professional settings. Sean usually charges $5,000 – $25,000 to work with clients, but this training shares many of his methods with you for free. Register before this is taken offline in the new few days. Mindfulness Exercises © 2019. All Rights Reserved.